There’s nothing worse than taking your new UTV out and slashing a sidewall on tire that you really don’t want to replace yet. Unless you are ready to plunk down a grand on a popular aftermarket set, your options are limited. A good replacement tire is the best option for most of us. 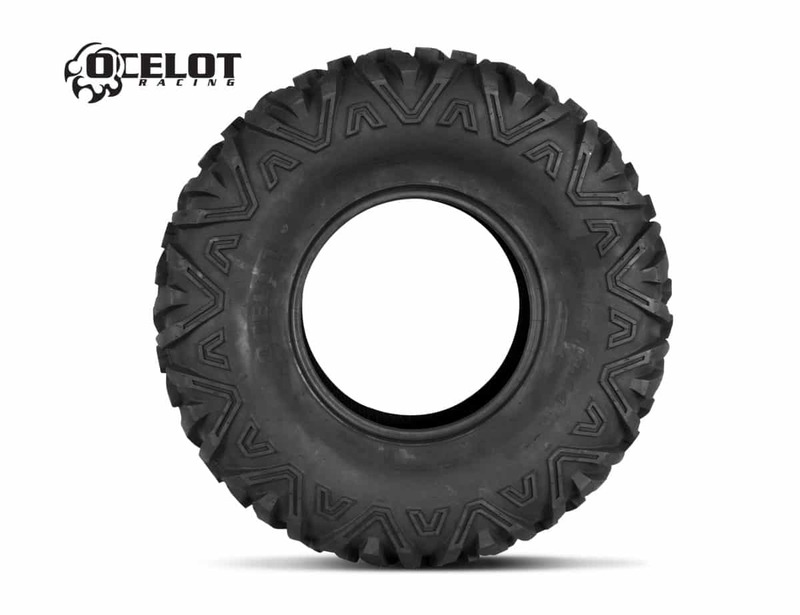 If the Ocelot side-by- side tire looks familiar, that’s because its comparable to the highly popular Maxxis Big Horn tire. The Big Horn is found on many of the stock ATVs/UTVs for good reason, they deliver great all-around performance. Chaparral’s in house brand has a perfect, nearly exact, low cost replacement tire for your UTV. 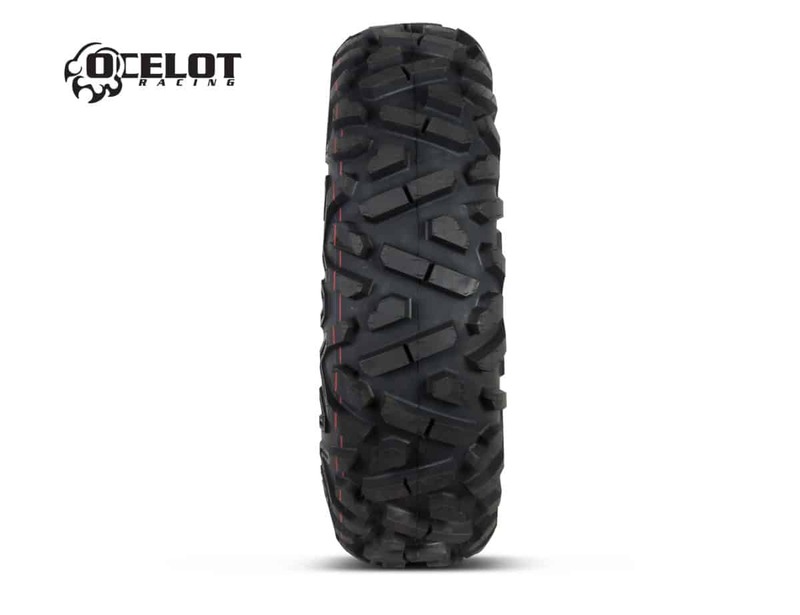 There are dozens of Ocelot tire styles available, but only the P350R will ride like a stock Maxxis Big Horn. 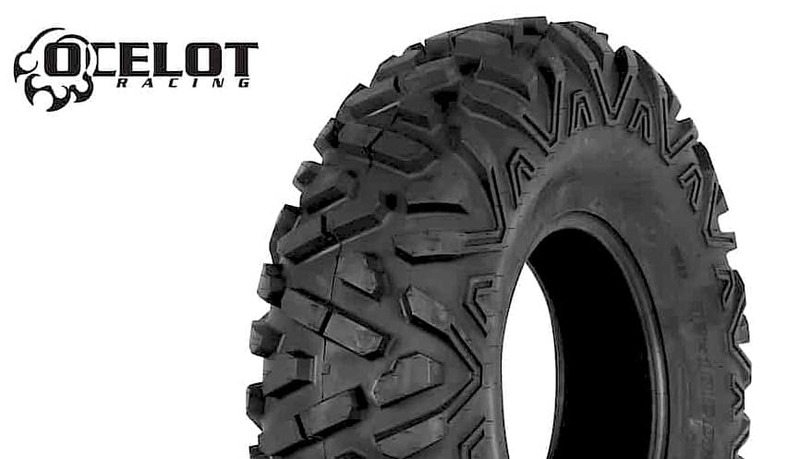 The Ocelot P350R tire is available in most sizes has the look of a stock Big Horn with a much stronger 6 or 8-ply rating. With thick, deep lugs and a burly tread pattern, these tires can get you up, over, through or around just about any obstacle. With lugs flowing all the way out to the sidewall you get extra protection and durability as well as extra grip when crawling through ruts. The smallest size starts at $67.88 and only the larger 29X11-14 and the 32X10-14 go over $100 and just slightly at $117. If you compare that to an OEM replacement tire even at a big warehouse place like Chaparral Motorsports you are paying less than half price for the Ocelot. 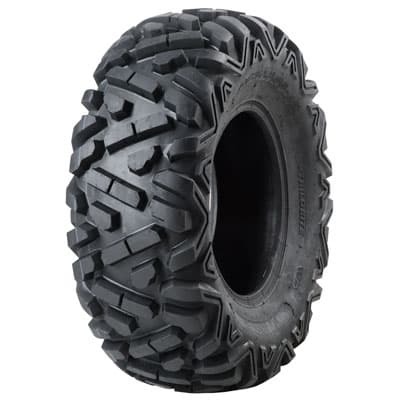 In fact, on the https://www.chapmoto.com website, a 2016 Polaris RZR XP1000 front 29X9-14, Maxxis Big Horn tire is listed at $273. The Ocelot version is only $99 and that’s a great deal anyway you look at it. Sand Hollow- WORCS Race Headquarters!